GOVERNOR BRUCE RAUNER IS URGING THE PUBLIC TO GET THEIR ANNUAL FLU SHOT. 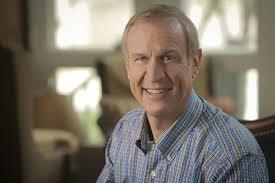 THE GOVERNOR JUST GOT HIS SHOT…AND RECOMMENDS EVERYONE SIX MONTHS AND OLDER DO THE SAME. HE SAYS IT’S NOT JUST ABOUT KEEPING YOURSELF HEALTHY. THE GOVERNOR AND FIRST LADY WERE JUST VACCINATED…AND SAY EVERYONE OVER SIX MONTHS OF AGE SHOULD AS WELL. THE GOVERNOR SAYS GETTING VACCINATED PROTECTS YOURSELF AND YOUR LOVED ONES FROM THE FLU. IT’S AVAILABLE IN BOTH SHOT AND NASAL SPRAY FORM AND TAKES ABOUT TWO WEEKS TO BECOME EFFECTIVE.